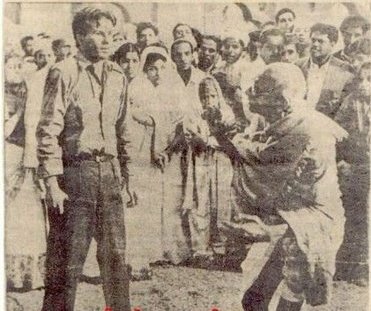 Nathuram Godse assassinated Gandhi on January 30, 1949. I came across a mention of Godse’s speech in the court in Chapter 1 of Ramachandra Guha’s book “India after Gandhi”. I became interested in reading the speech and understanding Godse’s motivation behind the assassination. A quick google search will take you to several web pages that contain the full speech. Here, I would like to present some excerpts which I thought are important. But first, I would like to say that it does not seem to me that Godse merely pulled the trigger in an assassination planned by bigger players. He seems to be a well-read man, who had convinced himself by several reasons that it was time for Gandhi to go; he says in his speech, “After having fully considered the question, I took the final decision in the matter..”. His motivations and reasons fall in two distinct categories: (a) bigoted Hindu fanaticism, made worse by the troubled times of 1947, and (b) pragmatic political reasons against Gandhi’s dominance of the Indian political scene. Personally, I have no take on Godse. To me, his Hindu doggedness seems as foolish as his political acumen seems praiseworthy.